/* Facts */ male(jack). male(oliver). male(ali). male(james). male(simon). male(harry). female(helen). female(sophie). female(jess). female(lily). parent_of(jack,jess). parent_of(jack,lily). parent_of(helen, jess). parent_of(helen, lily). parent_of(oliver,james). parent_of(sophie, james). parent_of(jess, simon). parent_of(ali, simon). parent_of(lily, harry). 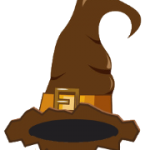 parent_of(james, harry). /* Rules */ father_of(X,Y):- male(X), parent_of(X,Y). mother_of(X,Y):- female(X), parent_of(X,Y). grandfather_of(X,Y):- male(X), parent_of(X,Z), parent_of(Z,Y). grandmother_of(X,Y):- female(X), parent_of(X,Z), parent_of(Z,Y). sister_of(X,Y):- %(X,Y or Y,X)% female(X), father_of(F, Y), father_of(F,X),X \= Y. sister_of(X,Y):- female(X), mother_of(M, Y), mother_of(M,X),X \= Y. aunt_of(X,Y):- female(X), parent_of(Z,Y), sister_of(Z,X),!. brother_of(X,Y):- %(X,Y or Y,X)% male(X), father_of(F, Y), father_of(F,X),X \= Y. brother_of(X,Y):- male(X), mother_of(M, Y), mother_of(M,X),X \= Y. uncle_of(X,Y):- parent_of(Z,Y), brother_of(Z,X). ancestor_of(X,Y):- parent_of(X,Y). ancestor_of(X,Y):- parent_of(X,Z), ancestor_of(Z,Y). father_of(F, Y), father_of(F,X),X \= Y.
mother_of(M, Y), mother_of(M,X),X \= Y. The following queries would return either True or False. ?-mother_of(X,jess). ?-parent_of(X,simon). ?-sister_of(X,lily). ?-ancestor_of(X,lily). etc. 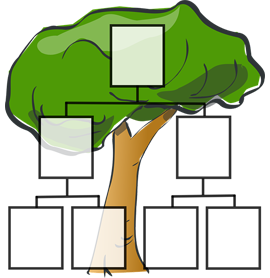 Use a range of queries, similar to the one above to interroagte the knowledge base and complete the family tree provided below.